Everyone has the right to expect a positive experience and a good treatment outcome. In the event of concern or complaint, consumers have a right to be listened to and to be treated with respect. Service providers should manage complaints properly so customers’ concerns are dealt with appropriately. Good complaint handling matters because it is an important way of ensuring customers receive the service they are entitled to expect. Complaints are a valuable source of feedback; they provide an audit trail and can be an early warning of failures in service delivery. When handled well, complaints provide an opportunity to improve service and reputation. We encourage patients to provide suggestions, compliments, concerns and complaints and we offer a range of ways to do it. Patients are encouraged to discuss any concerns about treatment and service with their treating clinician. All complainants are treated with respect, sensitivity and confidentiality. 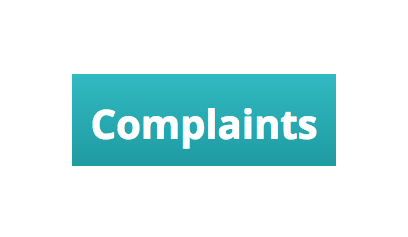 All complaints are handled without prejudice or assumptions about how minor or serious they are. The emphasis is on resolving the problem. Patients will not to be discriminated against or suffer any unjust or adverse consequences as a result of making a complaint about standards of care and service. Consider the problem and the outcome the patient is seeking, propose a solution; and confirm that the patient is satisfied with the proposed solution. Refunds are not offered to patients in the event that they experience commonly occurring complications detailed in the treatment consent form. Furthermore, if patients are dissatisfied by the result (it does not meet their expectations), treatment reversal using Hyalase will be discussed and if the person is suitable for this procedure this will come at a further cost of £150. In the event that a rare complication is encountered (such as infection related to treatment or vascular occlusion is suspected) treatment reversal will not incur a further cost and re-treatment within 8 weeks will be offered with no further payment required. Please see Booking and Clinic Terms and Conditions here.